After Jesus' illustration of the Good Shepherd (contrasted with the hired hand), conflict mounts and the cross begins to come into focus as John dedicates half of his gospel to the final week of Jesus' life. 1. About God: "I am the resurrection and the life. The one who believes in me will live, even though they die." John 11:25. There are many times in my Christian walk where the frequent mentions of the cross, resurrection, faith, and the afterlife become little more than background noise. It was refreshing to have Jesus' words cut through the clutter this morning rather than fade into the background (likely because I am reading with greater purpose during NT40). The resurrection is real! And Jesus establishes it for us. 2. About NT Christianity: As crowds anticipate Jesus' arrival at the Jewish Passover, the chief priests and the Pharisees put out an APB (all points bulletin) for everyone to report Jesus to them so they can arrest and kill him. It is in that climate that Thomas said to the rest of the disciples, "Let us also go, that we may die with him." John 11:16. Thomas has his moment of doubt, but here he should be called "Dauntless Thomas" rather than "Doubting Thomas." NT Christianity is inspiring. 3. 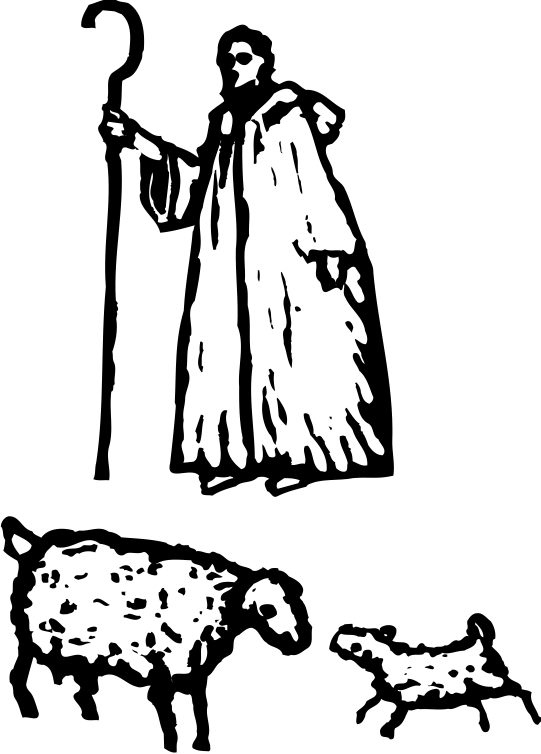 DWIS (Do What It Says): Be a good shepherd rather than a hired hand (John 10:12). Own the sheep; lay down my life for the sheep; know the sheep by name; face down wolves for the sheep; care for the sheep.